Offering you a complete choice of products which include handle bags and bopp handle bags. Handle Bags are very popular in the domestic market as well as in the markets abroad. As the name indicates the usability of these bags are very convenient to the customers.we offer a varieties of handle bags with respect to the specific need of the clients. These bags can be made available in several volume capacities to fulfill the diverse needs of the customers. Offered bags are competitively priced. We are successfully ranked amongst the trustworthy manufacturers and suppliers of a wide range of BOPP Handle Bags. These handle bags are developed using polypropylene film. The offered bags are manufactured in accordance with set industry norms and quality raw materials under the observation of deft professionals. 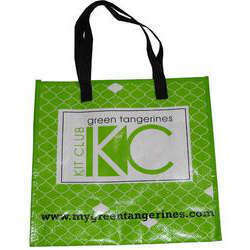 Offered bags are used for carrying and storing various types of domestic food items. Bags also have their other agricultural substances storing importance. 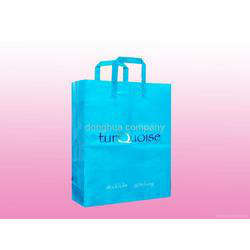 Moreover, these bags are available in variety of sizes, which can be customized according to the clients’ requirements.